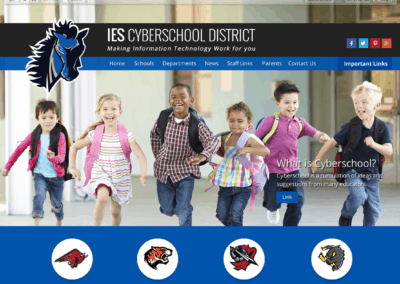 ADA compliant websites that connect the K-12 community! The most important thing to consider! Powerful drag and drop functionality. 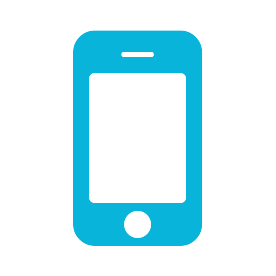 Push Notifications, Custom Branded, and more. 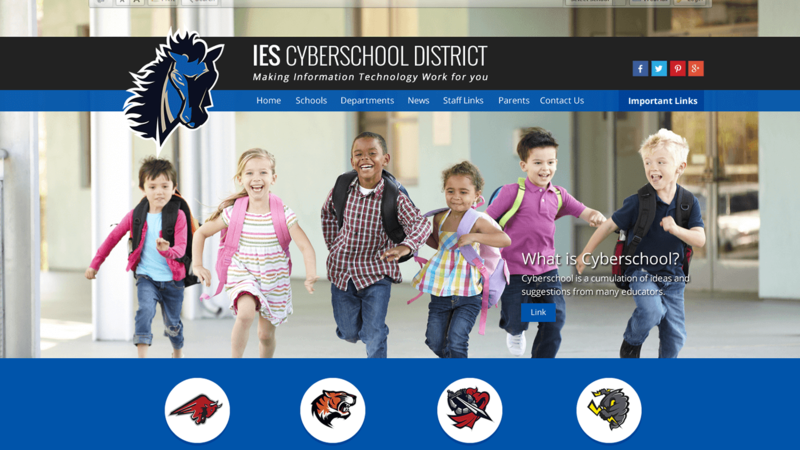 Cyberschool will develop a Customized App for your district available for both Apple iOS and Android devices. 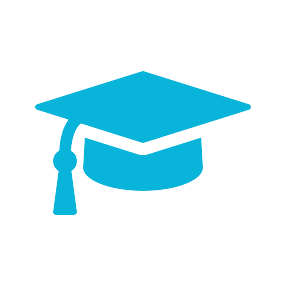 Your new Mobile App will have Direct Integration with your existing Cyberschool Platform. 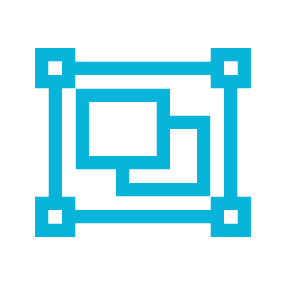 Sync information between your website and the app. 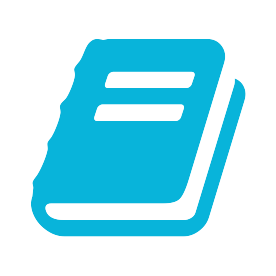 Contact information, Schools Information and Staff list are updated automatically. Is School delayed due to inclement weather? Maybe your parents need a reminder about the game on Friday? Push Notifications can now be sent directly to the home screen of every parent and student in the district. Unlimited Push Notifications at the touch of a button. You will also have an Admin Chat where you can push notifications to your Admin group's devices. "This was the first time for me to call in for help with upload pictures in a slide show on my school website. 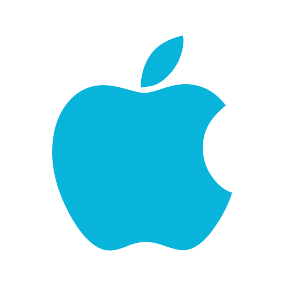 IES, customer support was very personable and patient with giving help to me. He didn't act rushed and most importantly he didn't make me feel like my questions were stupid. He was one of the top technology professionals that I have ever dealt with and should be commended with his ability to work with teachers. He left a great first impression and of course that makes your company look good. We all like to look good, don't we. 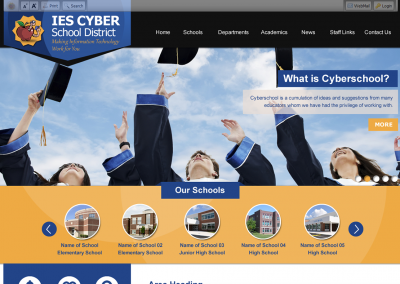 :)"
"The Cyberschool project was completed on time and they were very cognizant of our timelines. They helped us quite a bit to make sure we were ready on time, beginning with the planning process right through to execution. The original specifications were all met, and they did a bit of extra work to try and accommodate our changing specifications afterwards. They completed the project per the original specs and did a good job in the process. Something in addition I should mention, as I feel it is important in the decision making process... We have a large district (our District website and 23 schools) which sometimes means our requirements are more involved than smaller districts may encounter. 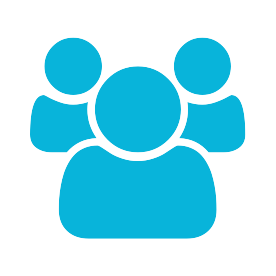 Any time I have had a requirement come up (such as improving the LDAP authentication) or a suggestion for improvement (many "wish-list" items), they have always been interested in my input and have already incorporated almost all of my suggestions into their new platform. Some they still have on the revision schedule to incorporate in the near future. They value feedback to improve their system and if it is something that would be useful to other districts, they work hard to implement it. That says something to me about both their commitment to their product and their customer service ethics. Good people. Continually improving product. Pretty fair price. Kinda hard to beat. 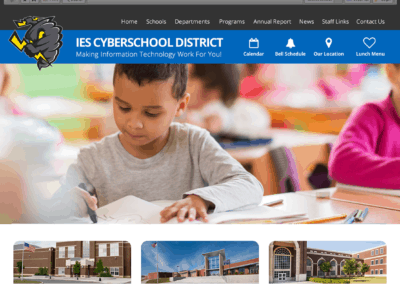 If you are concerned about which vendors to trust, this one (Cyberschool from IES, Inc.) you don't need to worry about... in my experience so far." Overall, I am very satisfied with the service IES, Inc. provide. Their customer service staff are Very knowledgeable and helpful. I've worked with them a few times now and he is always great! They always go the extra mile to help us. Thank you!!!! 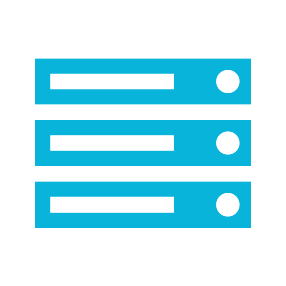 I highly recommend their services to colleagues or contacts within their industry. 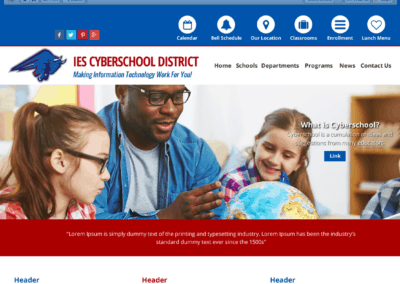 "The superintendent of Barstow USD, Susan Levine, explained in the Education Executive May/June 2011 issue, how their Cyberschool website has proven to be a successful communication tool with parents and the community. 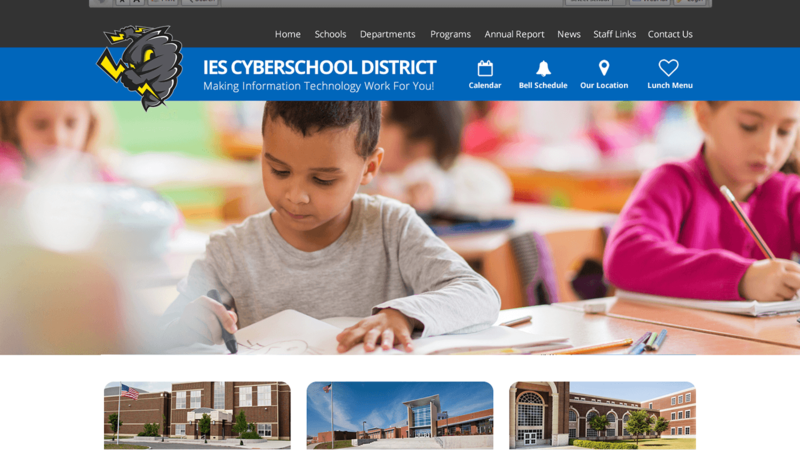 In the article, she relates how the community has benefited from the tools available on their website and expresses the importance of having direct access to district staff, news, and information on a consistent basis." Your Anti-Bullying and Tip Off reporting modules are GREAT addition to our web page. Thanks for making this happen. Devon (Customer care representative) is the most patient person when it comes to my questions! His knowledge, helpfulness and friendliness makes me feel like I'm not intruding on his time so I can learn and accomplish these tasks on my own next time. He follows up when he may not know the answer, and emails me needed documentation so I can share with my colleagues. I really enjoy working with him. I have worked with a lot of different tech people in the past 13 years. I have never worked with a more friendly, out reaching, professional group of people like you have on staff. On more than one occasion I have had to call multiple times in one day and never have your people put me off. If they did not know the answer they had someone there who did. You have a great TEAM!!! Oh ... my ... GAWD!...this is a BEAUTIFUL mock-up for our district! I shared the district webpage mockup with our Public Information Officer (PIO), with our superintendent and with our Cabinet. Everyone loves the new design mockup. I have to tell you though, I literally had chills up my spine when I saw it. You've done a remarkable job! 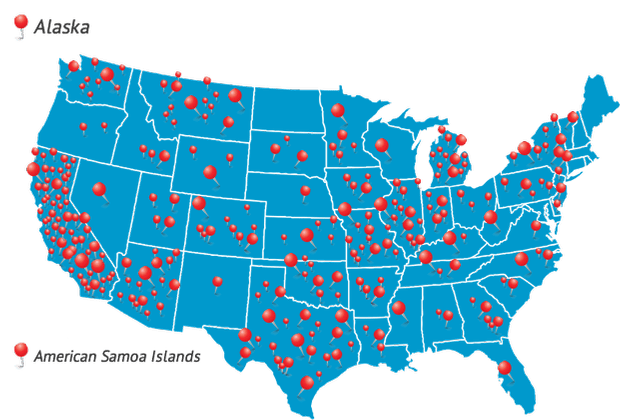 With the help of a progressive firm, IES, Inc., we implemented a state-of-the-art communication system... We couldn't be more pleased with our communication system. Best of all, IES professionals are readily available to assist with any questions or concerns... IES has assisted us greatly to enhance our capabilities. 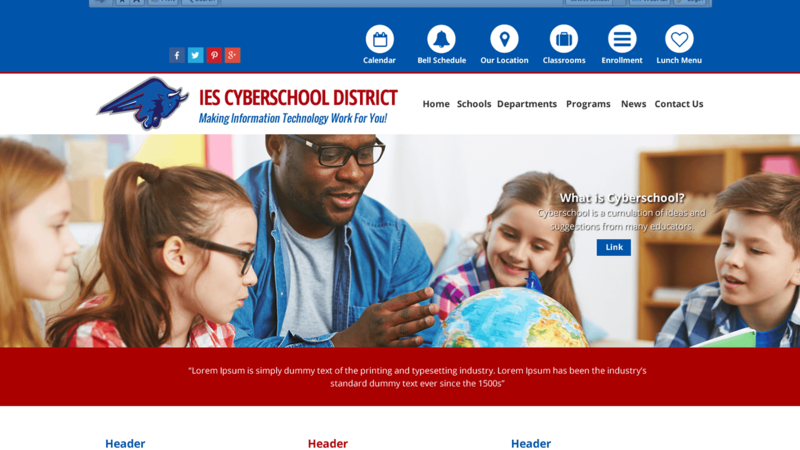 I would like to commend IES, Inc. on the wonderful job they did on my district's web page, www.taftcityschools.org/. I can't tell you how delighted we are with our new website. 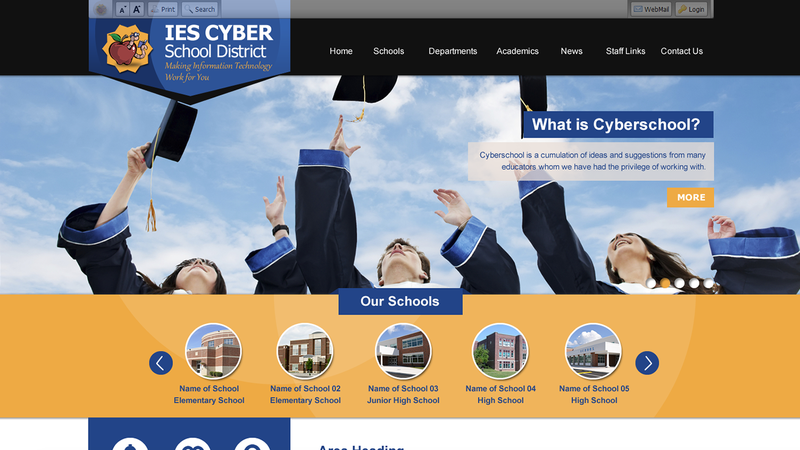 ..All of us are very impressed with the quality and ease-of-use of our new website built on the Cyberschool platform. I have received many compliments from teachers, staff members, board members and parents. As superintendent, I am happy that people in my organization now have simple and straightforward tools to update the pages themselves. The project was on time and within the projected budget. 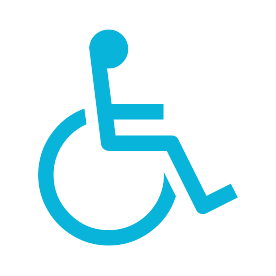 Your staff members were knowledgeable and accessible throughout the entire project. ...we have had so much positive feedback on our site(s). Our webmasters are finally able to venture out and add some of the different modules, such as the podcasts, and they are really impressed with the capabilities!